It is inevitable that anyone running for office will face scrutiny in their campaign, as you only want to have qualified individuals of good character to be on office. This is the case of my run as well. It came to my attention that attacks have already begun on me, and as such I will respond to them. First thing that has been attacked is my work ethic, which is surprising to me, since I have worked since I was eleven years old. The people spreading these atrocious lies about me have not known me for my life. Most have seen me a few times in the last couple of years and wouldn’t be qualified to make such judgments. I started off as a paperboy, delivering papers to the people in my neighborhood. That was the first lesson I had in responsibility. From there I stayed working throughout my childhood. I did many of the regular jobs you would expect a youth to have. I worked a couple years of fast food for Wendy’s, almost two years offloading trucks for Shopko, and was a student janitor for my high school. From there I served in the United States Marine Corps from 2003 until 2010. Split between active duty and reserves. There was no cake walk involved, as the chosen path I took was infantry. In the civilian sector of my life I worked as a security officer, a warehouse technician for Comcast, and my final job before my business provided enough for me to work for myself was with the Internal Revenue Service at a call center for the Business Division. Now, the focus on my work ethic was from an incident of a struggle I had in 2012 with Post Traumatic Stress Disorder from my time spent in Iraq. It was not an easy time for me, and I didn’t have the resources until I finally turned to the VA. I was suffering with panic attacks and severe depression. It was hard, and what made it harder was the fact that I attempted to take the “tough guy” approach, refusing help until finally in 2012, I needed to really reach out. Through the VA, I learned coping mechanisms with a counselor, and also got put on medication to assist in keeping my anxiety down. I was once again able to move forward with my life, because I was able to reach out. Since that time, I have advocated for veterans who are suffering with PTSD, and have even volunteered to do case studies involving medication in human trials before being prescribed to veterans. I also run a small charity that works on education and veteran assistance for PTSD and other injuries. It became one of my missions to ensure that those wonderful people who still continue to volunteer their service to our nation do not make the same mistakes I did in attempting to tough it out. I am shocked that some people believe this to be a case of where I would not be efficient as someone in Congress. If anything, I have grown stronger and have first hand experience in ways to better the process for help at the VA, as well as the fact that I have always kept a strong work ethic. I have not taken a vacation in four years, the last one being a trip to San Diego to visit one of my Marine brothers and revisit some of our old stomping grounds. I have always worked hard to keep my family in a good place and provide for them. As I have responded to some of the critics individually, I have nothing to hide. I can provide documentation upon request for work, my time in service, etc. And once I have raised $5,000 dollars in my campaign, I will be required to publicly post my financial information for viewing. I have never hidden anything, nor will I.
Marines live with a code of honor that the world has largely forgotten. As a Marine, it would betray everything I am to go against that honor. 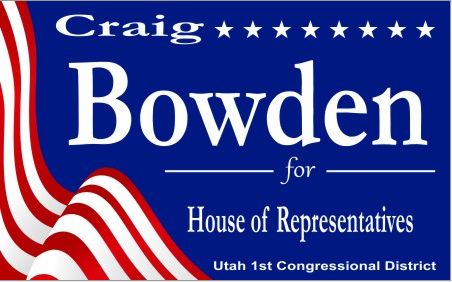 For official requests on my information, you may contact my press office at press@Craig4Congress.org. Just state what you are looking for, and as long as it does not go against a previous employer’s policies, I will release information to you. I am trying to bring honesty back into our nation’s capital, and rest assured, I will be open with the people I seek to represent.